In February of 1988 Bob Marlatt started work on the first issue of Golfing Northwest Newspaper. The first issue to go to press was the May, 1988 issue. By the second issue Steve Turcotte came onboard. 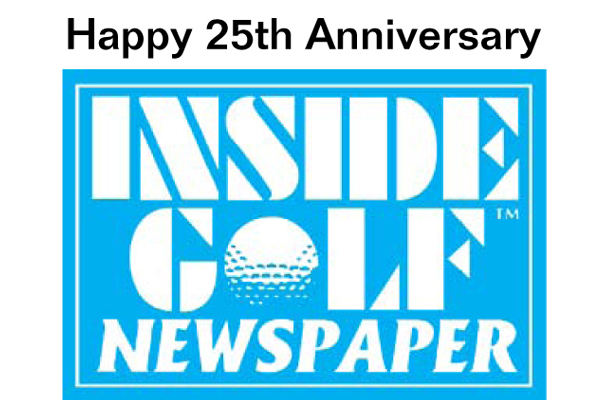 A year later the name was changed to Inside Golf Newspaper and this month we are celebrating the 25th anniversary. As a monthly print publication, that’s 300 issues in 25 years. Wow! In 1988 the publication, which has always had a full color front page and centerfold, was pasted up by hand and the photos were sent out to a vender for color separation at a cost of $250 per photo. Today we are full color on all pages and, thankfully, we do all of the production in house, thanks to the advances made in the computer and software technology. A lot has changed in the golf landscape in 25 years as well. New courses have come on board, especially during the 90s, which is referred to as the golden age of golf when four or five new courses opened every year. Private courses enjoyed a time when demand for membership outstripped the supply and long waiting lists were the norm. Older courses were forced to upgrade and improve in order to compete with the new modern tracts. Golf in general enjoyed a surge in popularity and was a reflection of the expanding economy of the 90s. The birth of the internet has not only changed the world, it has changed the way golf is marketed as well. Information about golf courses, prices and even tee times has had a major impact on the golf industry. The turn of the century has seen a reversal of the boom years and many older courses have been forced to close and some private venues have opened their doors to the public in order to remain solvent. There is good news on the horizon as we see signs that the economy is beginning to improve and rounds increasing. At Inside Golf Newspaper we are thankful to all of the readers and advertisers who have helped us over the past 25 years and want to express our sincere thank you to all of you.